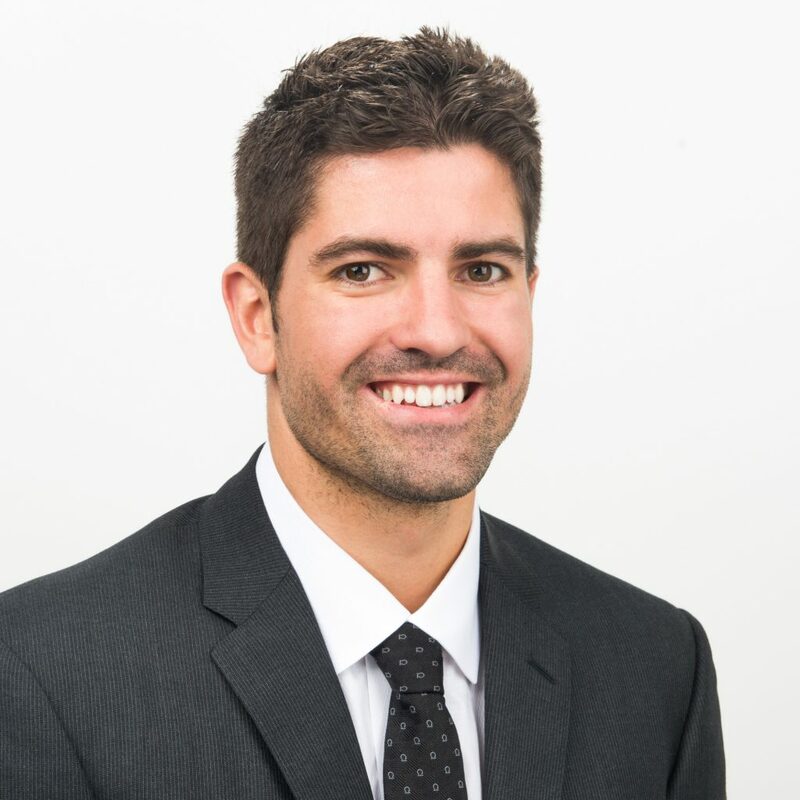 Nick Kovacevich, CEO KushCo Holdings (OTCQB: KSHB), which has assembled a suite of products and services to help cannabis growers, extractors and retailers, last spoke with New Cannabis Ventures in March. Since then, the company has undergone a rebranding that reflects the significant diversification beyond its original focus and name, Kush Bottles. Kovacevich told New Cannabis Ventures about the company’s current business model, footprint and the promise of organic growth. As the company was in the midst of its current growth spurt, the need for additional leadership became clear. Jim McCormick served as both COO and CFO, but now he has moved solely into the COO role, while Christopher Tedford has come onboard as CFO. Tedford has experience with large public company accounting, including NASDAQ accounting experience, which is where the company is headed, according to Kovacevich. KushCo also appointed Steve Hwang, a recruit from Samsung, as president of its Koleto Packaging Solutions division. This division will focus on building intellectual property, an important step in protecting the company from its competition in the long-term. KushCo’s diversified business model makes it a holding company with several divisions. The company sells products in five categories: vaporizer products; packaging; labels and label application, papers and supplies; and energy products, such as gases. Those five categories allow the company to capture the supply chain from start to finish and offer recurring revenue, according to Kovacevich. Along with its diversified business model, KushCo has bolstered its infrastructure and expanded into new markets. 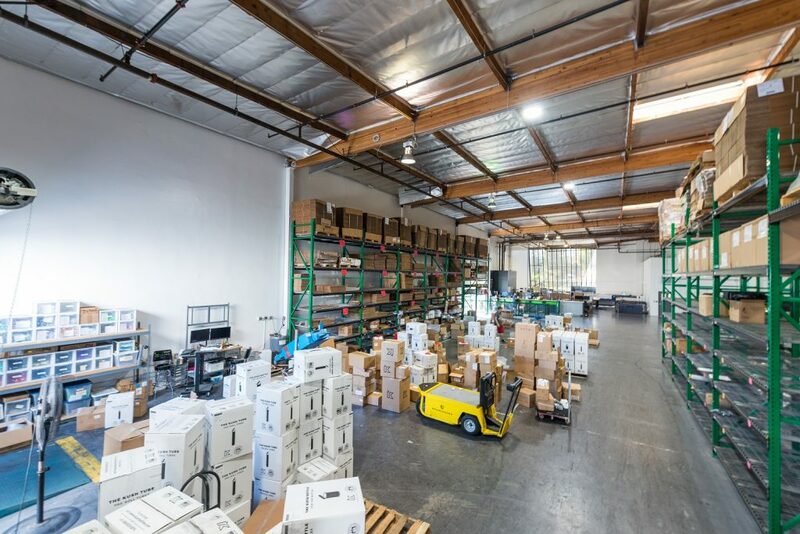 The company has more than 200,000 square feet of distribution space for its core packaging and vape products, as well as a hazmat distribution footprint for its energy products that spans nearly a dozen different sites. The company entered the Massachusetts market with a 66,000-square-foot facility and opened an office in Toronto to begin making progress in the Canadian market. Last year, markets in the northeast accounted for approximately 1 percent of the company’s revenue, while California accounted for about 50 percent. KushCo expects that to change as markets in the northeastern U.S. and Canada open up, which is why KushCo wants to be a first-mover and invest in those markets. The company has needed to add to its employee base to support its rapid growth. Right now, the company has about 225 employees. Kovacevich foresees adding more people to the team, but at a slower rate as the company puts in place the scalable systems and processes necessary to support its growth. KushCo reported $52.1 million in revenue for 2018, and of that amount, $50 million was organic, according to Kovacevich. The approximately $2 million in revenue derived from new business units is related to the very recent acquisitions of Summit Innovations and Hybrid Creative. Looking ahead to 2019, the company is focused on continuing its organic growth rather than on M&A. As it expands its infrastructure, the company aims to establish strong relationships with its customers and cross-sell across its diverse platform of offerings. 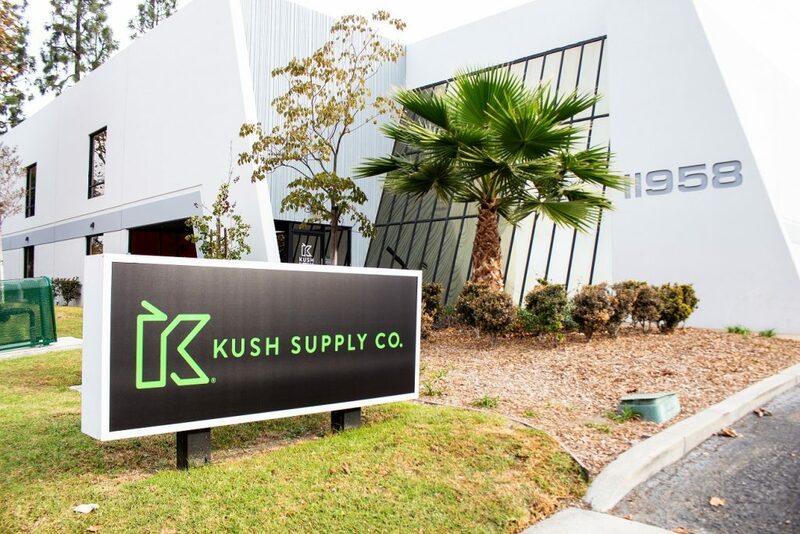 KushCo is projecting $110 to $120 million in sales for FY2019, a forecast driven by organic growth. The company is buckling down on organic growth instead of M&A because of recent weakness in its stock price. Kovacevich sees M&A as a complement to organic growth but not a substitute. When the company is ready to actively explore the M&A environment, Kovacevich is confident there will be plenty of opportunities. He does not see any other publicly traded companies in the ancillary space able to do cash and stock acquisitions like KushCo. Plus, he sees strong deal flow – the company fields inbound solicitations several times a month. Beginning January 1, 2018, California began to require child-resistant prepackaging in the cannabis space, a shift that caused many companies to scramble. 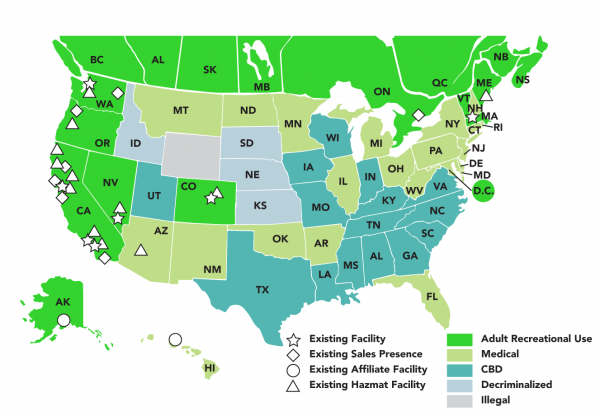 Prior to that date, most of KushCo’s customers were dispensaries that did packaging on site. After the regulatory change, the company’s client base moved to growers, producers, and processors. The company experienced short-term pain related to the transition – lost customers and some accounts receivable that needed to be written off – but Kovacevich and his team managed to not only avoid a dip in revenue but actually grow in the state. He expects the California market won’t reach true maturity until 2021 but intends the company to continue to handle the inevitable changes and grow in the interim. KushCo’s biggest challenge will be to support its growth from a working capital and supply chain perspective. It needs to have the products to meet the market’s demand. 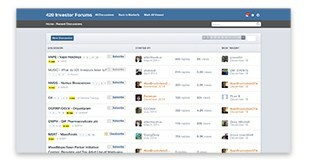 The company aims to execute and meet that challenge.